Fans of Diptyque’s body care range will be excited to learn that the French perfumer and candlemaker has a new five-piece collection solely for the face. It’s been four years since Diptyque launched their bodycare range, and the facial ritual collection was well worth the wait. In keeping with their minimalistic style, Diptyque’s new beauty regimen is suitably simple, yet the products are a work of art, morphing as they begin their magic, releasing the delicate fragrances we’d expect from the perfumer. 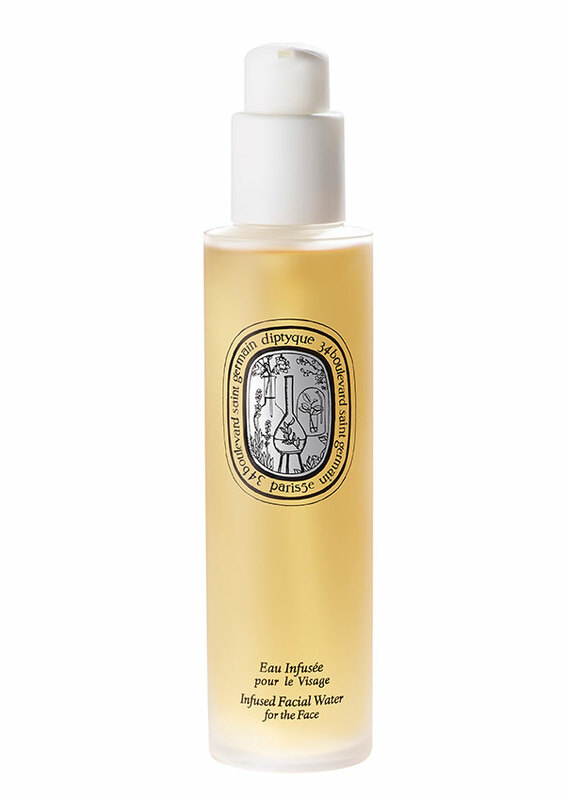 Diptyque has long been inspired by the traditional methods used in cosmetics. Slow infusion techniques and gentle distillation processes that preserve the qualities of the natural ingredients have been the cornerstone of their success in scents. The delicate hues of Damask rose run throughout the collection, combined with jasmine, white lily and clays to create a facial collection that’s both simple and magical. The application of their expertise to facial care has resulted in a facial water, powder, cleansing balm, exfoliator, and moisturiser that are befitting the heritage of the brand. A blend of nine plants and flowers, the Infused Facial Water is bursting with vitamins, minerals and moisturising agents. Taking its scent from the Damask rose, it uses an extract of the pretty Nasturtium plant to refresh and regenerate the skin. Inspired by Japanese beauty rituals, the fine Radiance Boosting Powder transforms on contact with water into a delicate foam, releasing invigorating scents of verbena fused with the smooth undertones of neroli blossom. 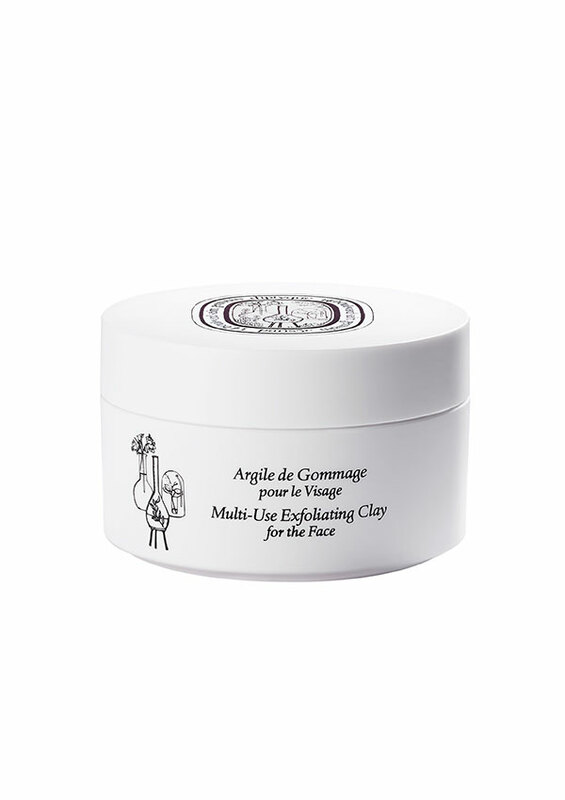 White clay forms the basis of the powder, working to restore minerals to the skin, reviving the complexion while softening and soothing. The Nourishing Cleansing Balm morphs before your eyes, giving you a real sense of how the carefully selected raw ingredients work together. The balm has the appearance of wax, befitting Diptyque’s candle-making heritage, that transforms into a fine oil between your fingers and a milky emulsion on contact with water. Formed of three essential waxes, ylang ylang, mimosa and geranium, combined with regenerative almond oil, the balm nourishes and soothes. Diptyque combines marble powder with oat, rice and clay, and scents it with violets to create the Multi-Use Exfoliating Clay. Surprisingly, the product is smooth enough to be applied with a make up brush, and has the added bonus of doubling as a mask. Diptyque recommends combining the exfoliating clay with a few drops of Infused Facial Water for an extra refreshing and invigorating experience. 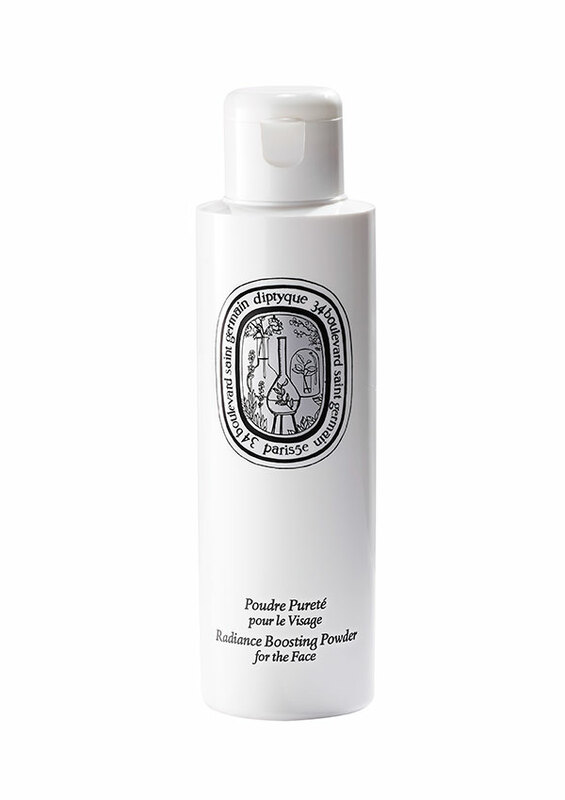 To finish off the facial regimen, Diptyque introduces yet another highly versatile product: its Protective Moisturizing Lotion. 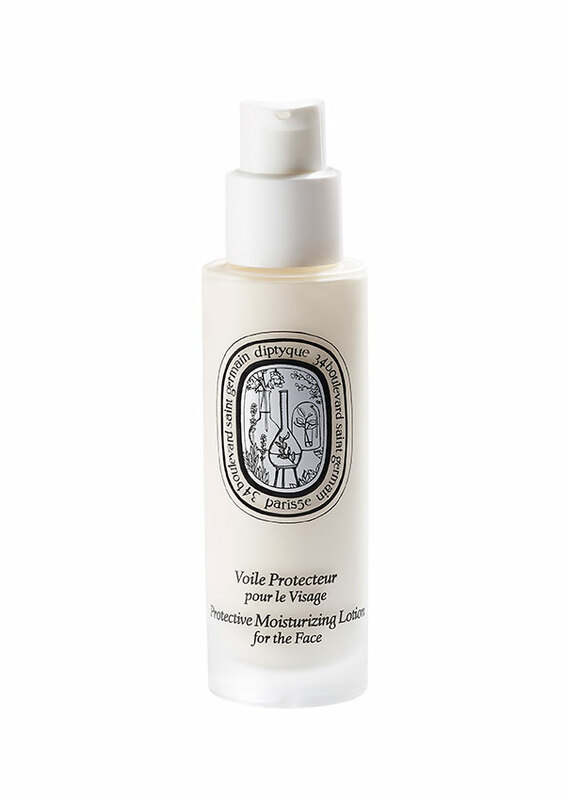 The intense moisturiser has SPF15 sun protection, and can be used either on its own, before another cream, or on top of foundation. A beautiful combination of rose, white lily and calendula, moisturise and soften the skin, while grape extract works to brighten the complexion and combat pigmentation.